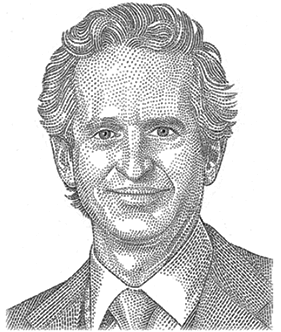 Christopher C. Davis is a portfolio manager for the Davis Select US Equity ETF and Select Financial ETF. Mr. Davis joined Davis Advisors in 1989 and has more than 30 years of experience in investment management and securities research. Danton G. Goei is a portfolio manager for the Davis Select US Equity ETF, Select International ETF and Select Worldwide ETF. 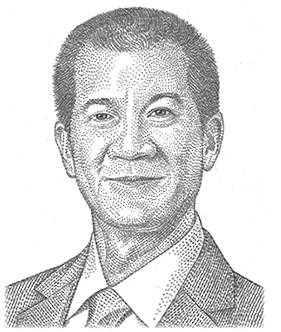 Mr. Goei joined Davis Advisors in 1998. He speaks multiple languages and has lived in Europe, Asia and currently resides in New York City. Within the equity universe, selectivity is critical. We believe durable, well-managed businesses whose true value is not recognized by the market should outperform. Technology and globalization are reconfiguring industries at an unprecedented rate. Many long-standing brands and business moats are being disrupted in unexpected ways. For example, in recent years the newspaper, retailing and media industries have all seen iconic companies become obsolete. Risks in today’s market include highly leveraged, low quality companies that have been bid up to unwarranted levels. Years of experience have taught us that paying high prices for low quality is ultimately a loser’s game. Davis ETFs are managed using the Davis Investment Discipline. They are high-conviction, benchmark-agnostic portfolios with low expected turnover and a strategic long-term time horizon. Davis ETFs offer investors the benefits associated with traditional ETFs, including low costs, tax efficiency, ease of trading, and transparency. This report includes candid statements and observations regarding investment strategies, individual securities, and economic and market conditions; however, there is no guarantee that these statements, opinions or forecasts will prove to be correct. Equity markets are volatile and an investor may lose money. Past performance is not a guarantee of future results. As of June 30, 2018. Davis Selected Advisers, L.P. has contractually agreed to waive fees and/or reimburse the Funds’ expenses to the extent necessary to cap total annual fund operating expenses until March 1, 2019. After that date, there is no assurance that the Adviser will continue to cap expenses. The expense cap cannot be terminated prior to that date, without the consent of the Board of Trustees. Source: Morningstar stock intersection analysis as of most recent date fund holding information was made available to Morningstar. The market is represented by the holdings in the S&P 500 Index. As of December 31, 2017. Individual securities are discussed in this piece. While we believe we have a reasonable basis for our appraisals and we have confidence in our opinions, actual results may differ materially from those we anticipate. The return of a security to the Fund will vary based on weighting and timing of purchase. This is not a recommendation to buy, sell or hold any specific security. Past performance is not a guarantee of future results. This report is authorized for use by existing shareholders. A current Davis Fundamental ETF Trust prospectus must accompany or precede this material if it is distributed to prospective shareholders. You should carefully consider the Fund’s investment objective, risks, fees, and expenses before investing. Read the prospectus carefully before you invest or send money. Shares of Davis Fundamental ETF Trust are bought and sold at market price (not NAV) and are not individually redeemed from the ETF. There can be no guarantee that an active trading market for ETF shares will develop or be maintained, or that their listing will continue or remain unchanged. Buying or selling ETF shares on an exchange may require the payment of brokerage commissions and frequent trading may incur brokerage costs that detract significantly from investment returns. Objective and Risks. Davis Select U.S. Equity ETF’s investment objective is long-term capital growth and capital preservation. The Fund invests primarily in equity securities issued by large companies with market capitalizations of at least $10 billion. Davis Select Financial ETF’s investment objective is long-term growth of capital. There can be no assurance that the Fund will achieve its objective. Under normal circumstances the Fund invests at least 80% of its net assets, plus any borrowing for investment purposes, in securities issued by companies principally engaged in the financial services sector. Davis Select Worldwide ETF’s investment objective is long-term growth of capital, and Davis Select International ETF is long-term growth of capital.. There can be no assurance that the Funds will achieve their objectives. Some important risks of an investment in the Funds are: authorized participant concentration risk: to the extent that Authorized Participants exit the business or are unable or unwilling to proceed with creation and/or redemption orders with respect to the Fund and no other Authorized Participant is able to step forward to create or redeem Creation Units, Fund shares may trade at a discount to NAV and could face delisting; common stock risk; credit risk: The issuer of a fixed income security (potentially even the U.S. Government) may be unable to make timely payments of interest and principal; depositary receipts risk: depositary receipts involve higher expenses and may trade at a discount (or premium) to the underlying security; emerging market risk: securities of issuers in emerging and developing markets may present risks not found in more mature markets; exchange-traded fund risk: the Fund is subject to the risks of owning the underlying securities as well as the risks of owning an exchange-traded fund generally; fees and expenses risk; financial services risk; focused portfolio risk: investing in a limited number of companies causes changes in the value of a single security to have a more significant effect on the value of the Fund’s total portfolio; foreign country risk; foreign currency risk; headline risk; interest rate sensitivity risk: interest rates may have a powerful influence on the earnings of financial institutions; intraday indicative value risk: the Fund’s INAV agent intends to disseminate the approximate per share value of the Fund’s published basket of portfolio securities every 15 seconds. The IIV should not be viewed as a ‘‘real-time’’ update of the NAV per share of the Fund because the IIV may not be calculated in the same manner as the NAV, the calculation of NAV may be subject to fair valuation at different prices, the IIV does not take into account Fund expenses, and the IIV calculations are based on local market prices and may not reflect events that occur subsequent to the local market’s close; large-capitalization companies risk; manager risk; market trading risk: includes the possibility of an inactive market for Fund shares, losses from trading in secondary markets, periods of high volatility, and disruptions in the creation/redemption process. ONE OR MORE OF THESE FACTORS, AMONG OTHERS, COULD LEAD TO THE FUND’S SHARES TRADING AT A PREMIUM OR DISCOUNT TO NAV; mid- and small-capitalization companies risk; and stock market risk. See the prospectus for a complete description of the principal risks. As of June 30, 2018, the top ten holdings of Davis Select U.S. Equity ETF were: Alphabet Inc., Class C, 9.33%; Berkshire Hathaway Inc., Class B, 9.12%; Amazon.com, Inc., 9.03%; Capital One Financial Corp., 6.75%; United Technologies Corp., 6.54%; Apache Corp., 5.06%; Safran S.A., 5.00%; American Express Co., 4.39%; Markel Corp., 4.33%; JPMorgan Chase & Co., 4.24%. As of June 30, 2018, the top ten holdings of Davis Select Financial ETF were: U.S. Bancorp., 6.65%; Capital One Financial Corp., 6.48%; American Express Co., 6.44%; Berkshire Hathaway Inc., Class B, 6.23%; Markel Corp., 5.60%; Wells Fargo & Co., 4.82%; Bank of New York Mellon Corp., 4.63%; JPMorgan Chase & Co., 4.38%; DNB ASA, 4.03%; Chubb Ltd., 3.98%. As of June 30, 2018, the top ten holdings of Davis Select Worldwide ETF were: Alphabet Inc., Class C, 6.48%; Alibaba Group Holding Ltd., ADR, 5.98%; Amazon.com, Inc., 5.72%; Naspers Ltd. – N, 5.39%; Wells Fargo & Co., 4.84%; JD.com Inc., Class A, ADR, 4.38%; New Oriental Edu & Tech ADR, 4.19%; Encana Corp., 4.16%; Apache Corp., 4.04%; Ferguson PLC, 4.01%. As of June 30, 2018, the top ten holdings of Davis Select International ETF were: Alibaba Group Holding Ltd., ADR, 7.14%; Naspers Ltd. – N, 6.50%; Safran S.A., 5.32%; Hollysys Automation Technologies Ltd., 5.12%; Ferguson PLC, 4.70%; JD.com Inc., Class A, ADR, 4.53%; Encana Corp., 4.41%; New Oriental Edu & Tech ADR, 4.38%; DBS Group Holdings Ltd., 4.04%; Schneider Electric SE, 3.79%. Davis Fundamental ETF Trust has adopted a Portfolio Holdings Disclosure policy that governs the release of non-public portfolio holding information. This policy is described in the prospectus. Holding percentages are subject to change. Visit davisetfs.com or call 800-279-0279 for the most current public portfolio holdings information. Free cash flow is a measure of a company’s financial performance, calculated as operating cash flow minus capital expenditures. 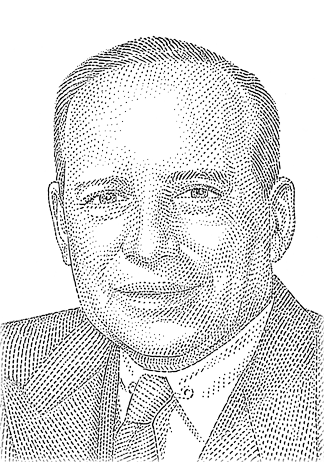 Ben Graham is not associated in any way with Davis Selected Advisers, Davis Advisors or their affiliates. The S&P 500® Index is an unmanaged index of 500 selected common stocks, most of which are listed on the New York Stock Exchange. The Index is adjusted for dividends, weighted towards stocks with large market capitalizations and represents approximately two-thirds of the total market value of all domestic common stocks. The S&P 500 Financials is a capitalization-weighted index that tracks the companies in the financial sector as a subset of the S&P 500® Index. The MSCI ACWI® (All Country World Index) is a free float-adjusted market capitalization weighted index that is designed to measure the equity market performance of developed and emerging markets throughout the world. The Index includes reinvestment of dividends, net foreign withholding taxes. The MSCI ACWI® (All Country World Index) ex U.S. is a free float-adjusted market capitalization weighted index that is designed to measure the equity market performance of developed and emerging markets, excluding the United States. The Index includes reinvestment of dividends, net of foreign withholding taxes. Investments cannot be made directly in an index.